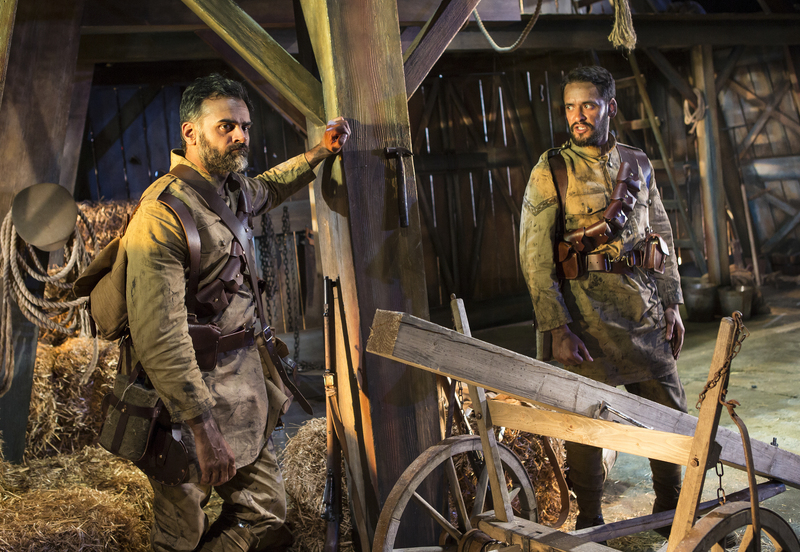 Review: Wipers at Curve Leicester. – East Midlands Theatre. 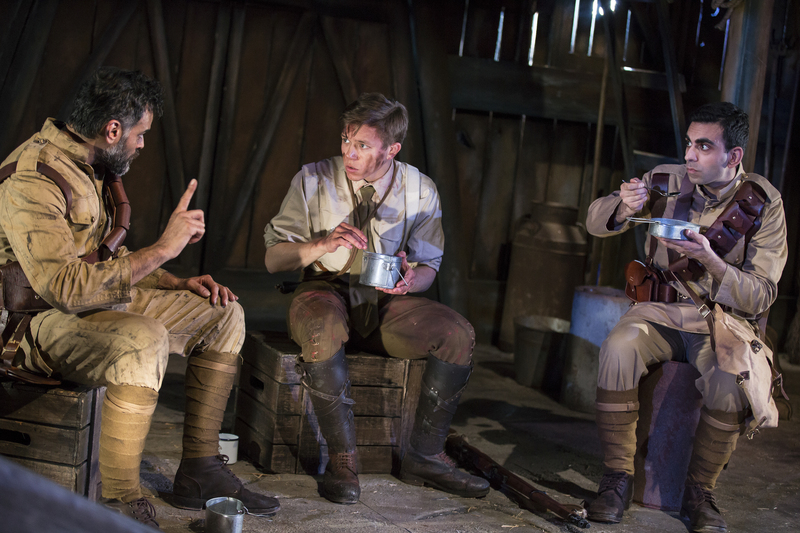 Review: Wipers at Curve Leicester. Usually the programme notes and back stories in theatre programmes are generally enlightening for members of an audience (should they chose to read them) and helpful for lay people and press alike. They further aid understanding to the piece and its creation and motivation for the play being included in the theatre’s season. In the case of Ishy Din’s emotionally taut play Wipers, a newly commissioned play at Curve Leicester, the programme notes are not only as suggested above but downright educational, inspiring and more illuminating than a bright barrage of cluster bombs over the battle fields near Ypres in October 1914. There is an interview with Ishy Din himself, a guy from a humble background who honestly confesses several business failures behind him and who is now a sort after playwright having sent off a trial script to the BBC (John Barnes Save My Life). Further down the line Ishy is now acknowledged as a gifted writer with something important to say. Equally important is the support he has been offered on the way up and his mostly self actualised understanding and practice of theatre writing. 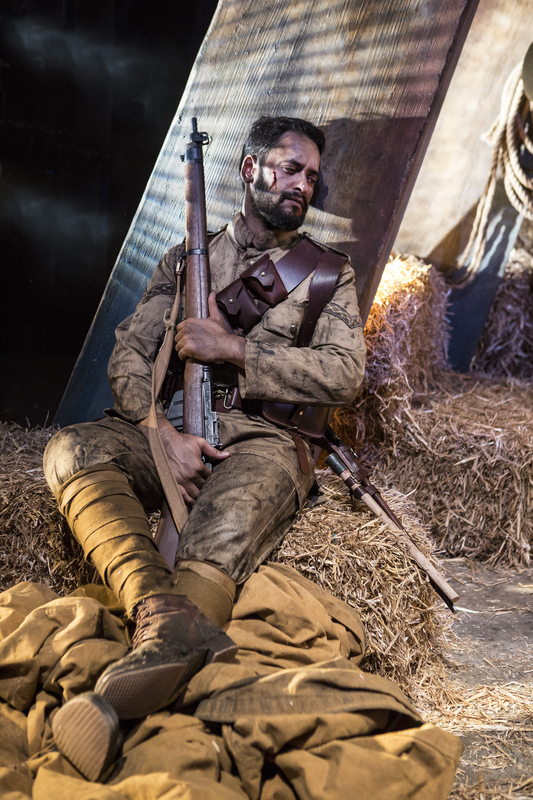 In the notes Ishy refers to a real life character who was the inspiration behind Wipers; the ultimate, yet mostly unknown, WW1 hero Khudadad Khan. 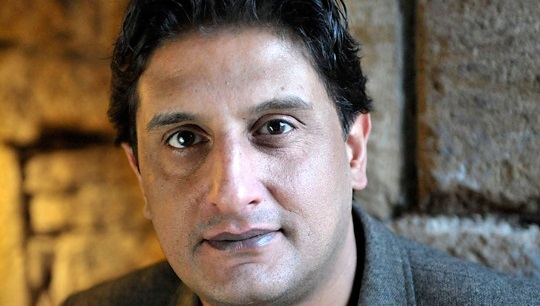 Ishy Din’s writer’s journey over three years has deeply affected how Khan appears in the play Wipers. Next and frankly, crucial to the piece, is the heart-rending story of thousands of Indian soldiers from the Punjab and many other regions who volunteered to come to Europe from their huge continent of completely different cultures (some ethnically, religiously and violently intolerant of each others ways of existing) to fight for the British Empire in World War One. They were mostly terribly ill equipped, not familiar with the terrifying methods of mass destruction used in the WW1 trenches (who was?) and our wet European climate and suicidal trench warfare slaughtered thousands of them. In the Wipers‘ programme, acclaimed writer Shrabani Basu (For King and Another Country. Indian Soldiers On The Western Front 1914-18 – Bloomsbury Publishing) gives us a very moving account of their stories accompanied by amazing images from the time. Wipers is directed with a passion by Curve’s Suba Das. It is a four hander and ninety minutes long without an interval. The time flies by – so engrossing is the story of three Punjabi soldiers and an English officer trapped in a French barn on the outskirts of the first ongoing battle of Ypres Salient. 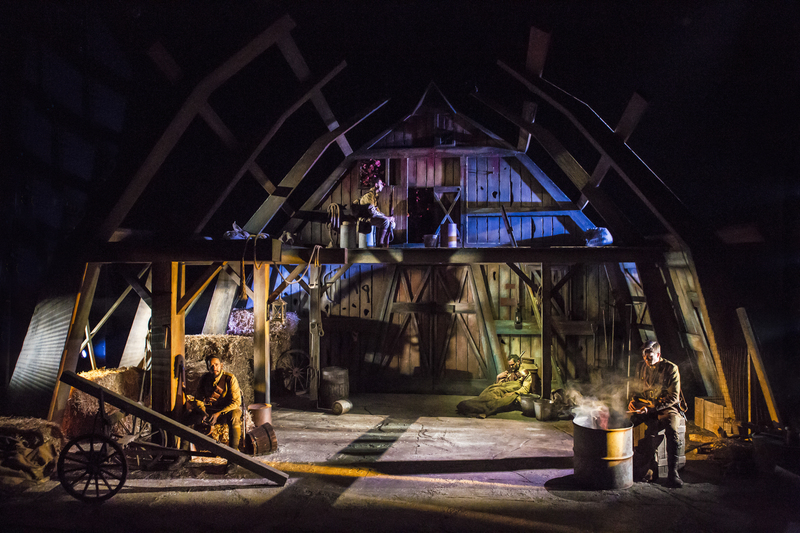 The set and atmospherics creative team at Curve (set designer Isla Shaw, sound designer Jon Mitchells, lighting designer Prema Mehta) have done the company proud with their amazing barn set. It is so good you’ll believe the rain dripping in from the eaves and the invisible dove skittering about dispelling age old dust and dried hay from the far reaches of the open roof section. At one point a spicy lentil Dal is cooked on an improvised fire and the subtle aromas permeate the studio space. This is multi-sensory theatre in action. So, after all this vital preamble we get to the action and story of the play. 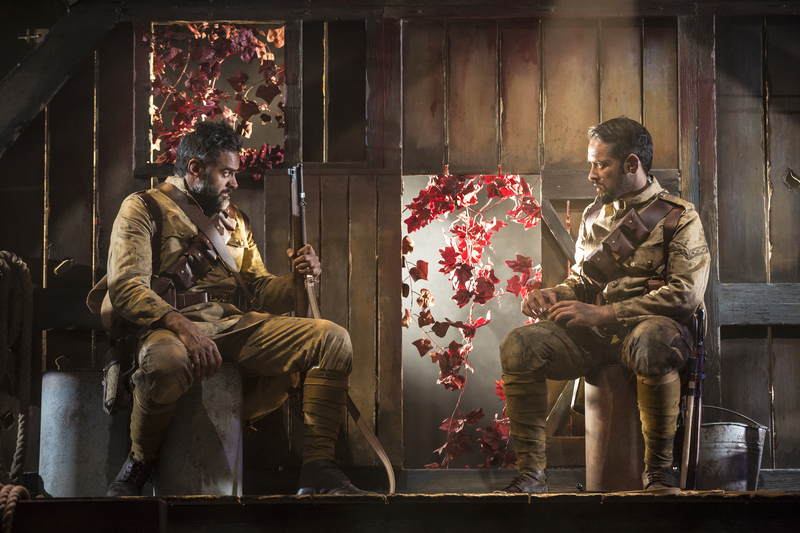 Key to the heart of the play are the relationships between young English Army Officer – Thomas (Jassa Ahluwalia in an emotionally gripping and crucially sympathetic role), frightened new recruit Ayub (Waleed Akhtar), Sadiq the hardened but privately vulnerable fighter (Simon Rivers) and non English speaking food lover and soldier AD (Sartaj Garewal). The attention to detail in accents and actions and costume and absolutely perfect through and make one believe one is actually in the moment with these Wipers characters. Pamela Raith’s photos on this review do a huge credit to the piece. Their existence together is a tense affair exacerbated by war. The glue that ends up holding them together is the universal ‘breaking of bread’ over some Dal lovingly improvised by AD and equally fondly inspirational as a new culinary experience for English officer Thomas. As Thomas tries to communicate with AD all social and racial barriers are broken down and a single enthused ‘thumbs up’ and big manly grin by AD. In realising his very simple meal is a success this gesture says more than several pages of verbal script could ever say. The bi-cultural soldiers go through many moments of mutual aggravation fuelled by aspects of rank and mental turmoil but the thought of their friend Khudadad Khan out there in the thick of the fighting inspires them all to keep a sense of reality, sanity and victory. The constant gun and shell fire eventually stop but how do they go forward? The South Asian soldiers have a tradition of caring for the dead and wounded on the battle field but how can this be played out in the mire and dire bloody carnage of a World War One trench based conflict? 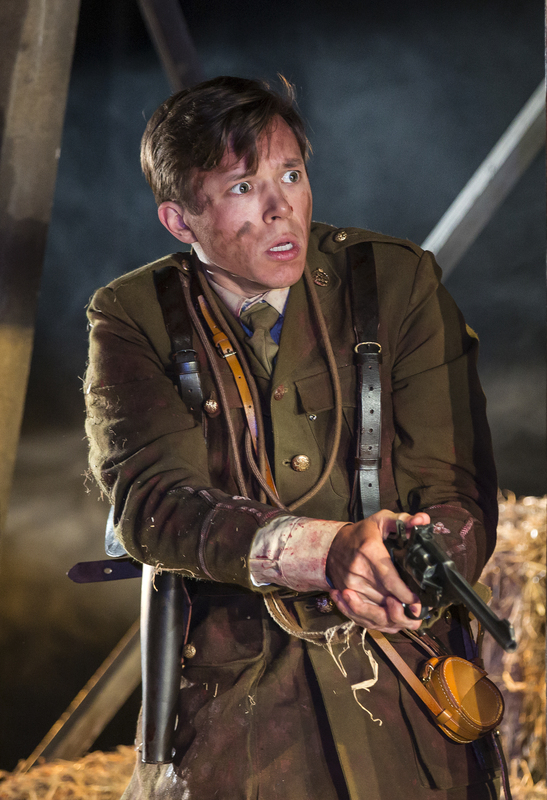 In one of the most poignant and decidedly original First World War plays Wipers wins on all fronts. There is conflict; there is humanity; there is commonality between socially and religiously disparate Empirical nations. Together they eat, together they fight, together they may well die. But the principle behind all their mutual encounters is the strength of bonding as humans and their love for their fellow man. These characters may be motivated by surface survival motivations but deeper selfless motivations shine through in the piece. To quote Shrabani Basu in the programme ‘By the end of the First World War 1.5 million Indians had crossed the forbidden ‘Kala Pani’ or ‘Dark Waters’ to make the journey to Europe. Over 72,000 died, their names captured on gravestones and memorials in distant lands, their stories forgotten over time. 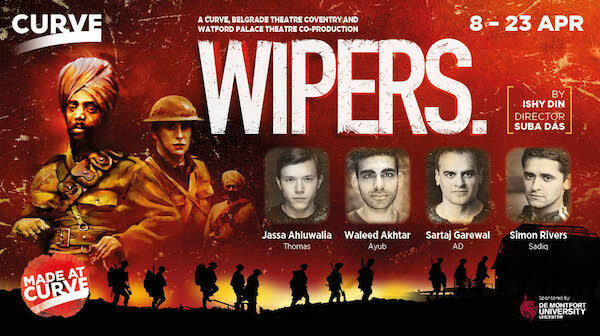 Perhaps the play Wipers will help us remember these selfless South Asian individuals who gave up their lives in service of the then British Empire and ironically, a hoped for independence from British rule. Curve Box Office number 0116 242 3595 or book online at Curve Online. 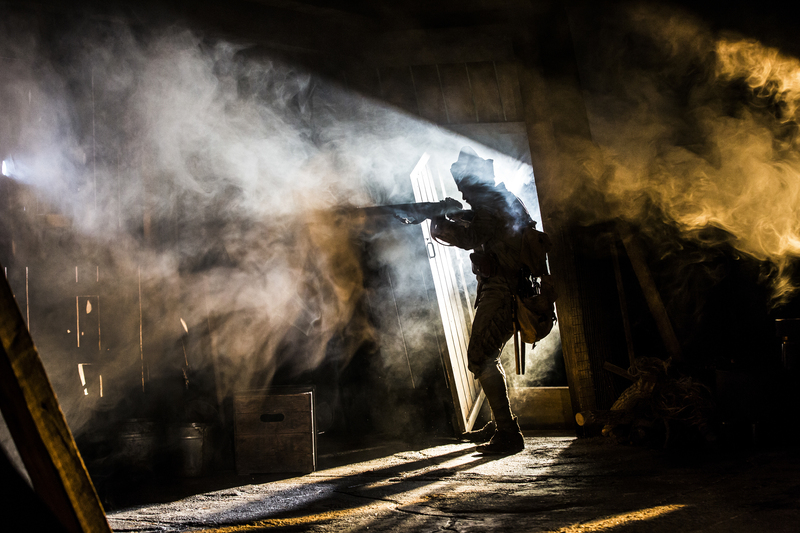 Wipers is a Curve Leicester, Belgrade Theatre Coventry and Watford Palace Theatre co-production.